This customer wanted to install a system that would provide residential power throughout the coach with a solar power system that could be expandable in the future if desired. 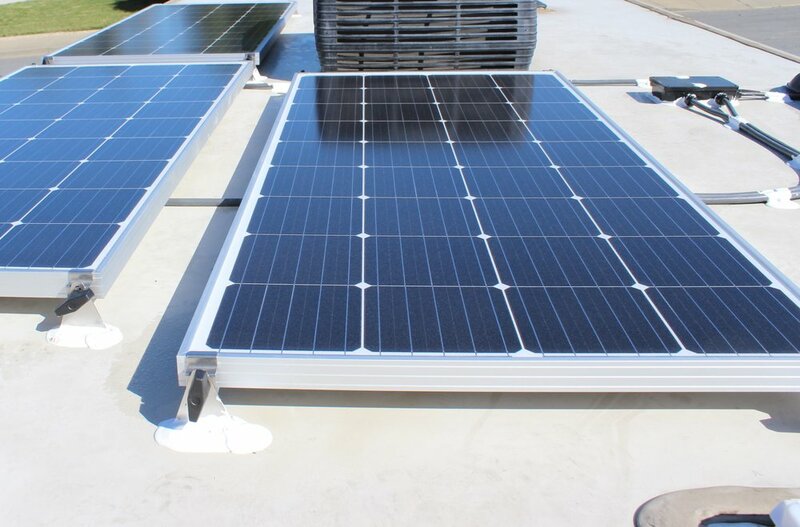 We installed a Blue Sky 3024iL MPPT Charge Controller w/ IPN Remote and 3x AM Solar SF180 solar panels coupled to a AM Solar roof combiner box and sealed all roof penetrations with Dicor leveling sealant. We installed a new 30A main shore power panel, pass-through MSH3012M Magnum Hybrid Inverter and ME-RC50 remote. We replaced the existing OE batteries w/ 4x Lifeline GPL-4CT 220ah AGM batteries.